It’s a source of pride for a lot of hockey fans, when their team defies the odds and emerges out of one of the NHL’s tougher divisions. Granted, playing in a tough division could just as easily be a source of great frustration for fans of say, the Dallas Stars. But it nevertheless continues to be a highly-contested topic, especially with potential NHL expansion looming. In the here and now though, there are at least several potential “groups of death” heading into the 2015-16 season. As such, using last year’s end-of-season TSN Power Rankings, recent performances, and how each team fared this summer as a guide, the NHL’s four divisions have been (unofficially) ranked in terms of quality of competition. Just how tough is your team’s division? Please note wardrobe and whether any are guilty of wearing army boots will not enter into the equation, fyi. While the Western Conference is generally considered to be the tougher of the two, games between Pacific Division teams were a lot of the time just plain tough to watch. Sure the Pacific Time Zone had something to do with it. 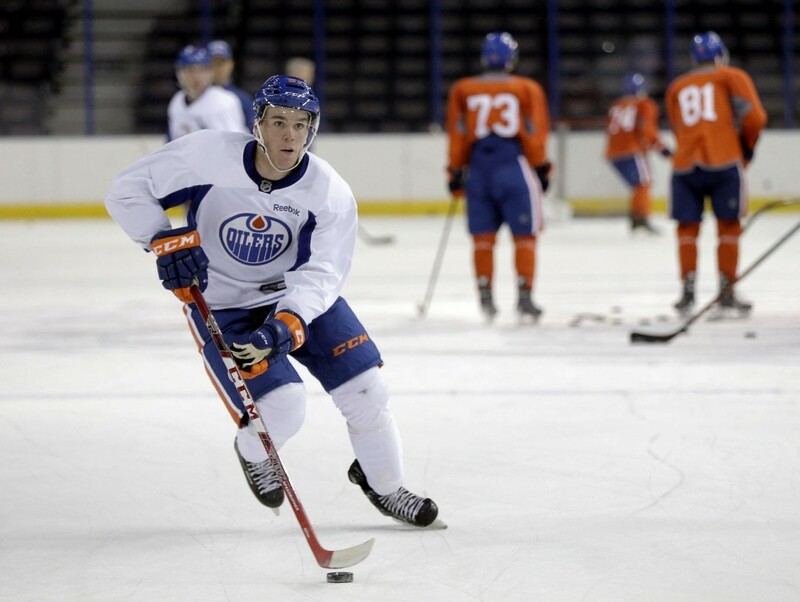 But lottery teams like the Edmonton Oilers and Arizona Coyotes did as well. In theory, one could argue that the Pacific is so tough that even the playoff behemoth Los Angeles Kings couldn’t reach the postseason last year. However, that argument would conveniently ignore how, despite their two Stanley Cups since 2012, they remain just a decent regular-season team, having hit 100 points only once between then and now. As such, their championships, while impressive, don’t really factor into the toughness of the division. The three teams the Pacific sent to the playoffs were a league low, and, while, yes, there are some legitimately good teams in the division, there are just more mediocre and/or bad ones. That includes the Connor McDavid-drafting Oilers. Remember the Pittsburgh Penguins still missed the playoffs in Sidney Crosby’s first season, despite his 102 points. The Coyotes are meanwhile in full rebuild mode, with their biggest off-season acquisitions being Antoine Vermette, who didn’t make that much of a positive impact on the team last time around, and the 6’8″, 260-pound John Scott, who’s more mountain than man (and hockey player with five career goals). (At least) three Pacific teams will obviously make the playoffs again, but that’s obviously not saying much. There just isn’t much (good) to say. 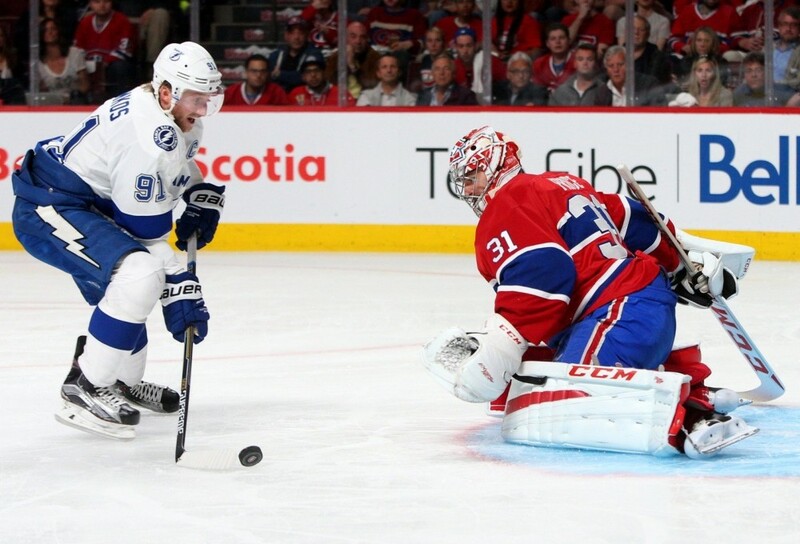 The Montreal Canadiens won the Atlantic Division with an end-of-season TSN Power Ranking of 8. While power rankings should always be taken with a grain of salt, that’s the lowest of all division champions… and not at all impressive as there are only four divisions in all. 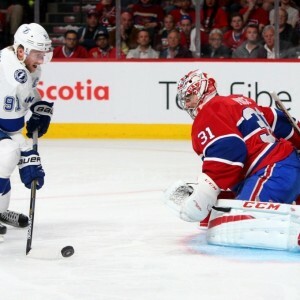 The second-place Tampa Bay Lightning finished higher with a rank of 7, so it’s not like it was all downhill after Montreal. But teams like the Toronto Maple Leafs (No. 28) and Buffalo Sabres (30) certainly didn’t pull their weight. Toronto and Buffalo should improve upon those this coming season, but are likely still a few ones away from being playoff teams, especially with the former having just traded away their most prolific scorer in Phil Kessel. Meanwhile, the 2013-14 Presidents’ Trophy-winning Boston Bruins took another step back this summer after missing the playoffs last season, trading away Hamilton and Milan Lucic, with acquisitions Matt Beleskey and Jimmy Hayes still having a lot to prove. It’s not that the division is weak. It’s that it’s hard to know what to make of the top teams because the bottom of the division is so weak. Middle-of-the-pack teams likes the Florida Panthers and Ottawa Senators can really go either way, even taking into account their late-season playoff pushes. For example, it remains to be seen if the Senators, who didn’t do anything of any significance to improve, are the team that finished the season 21-3-3 or the one that needed a 21-3-3 finish to just to squeak into the playoffs. By acquiring Zack Kassian and Alexander Semin, the Canadiens undeniably improved their pop-gun offense, while the Stanley Cup-finalist and offensive-powerhouse Lightning for all intents and purposes stood still (which could prove to be a sound strategy). They are both realistic threats to win the Presidents’ Trophy, but that’s in large part due to the division they’re in. 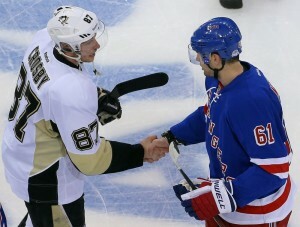 If there was ever a division in which anyone could win, the Metropolitan Division would be it. Granted, it would take some doing (dark magic) on the part of the New Jersey Devils and Carolina Hurricanes specifically, but the reigning Presidents’ Trophy winners, the New York Rangers, didn’t really improve all that much this summer (if at all), with the Emerson Etem for Carl Hagelin trade looking like a wash for all intents and purposes. That opens the door for teams like the wheeling and dealing Penguins, who finished fourth in the division last season and barely made the playoffs. Their defense still needs work, but if their retooled offense featuring Kessel and Nick Bonino scores enough, as it has the potential to, it won’t even matter. Speaking of retooled offenses, the Washington Capitals now employ the top-six services of T.J. Oshie and the ever-clutch Justin Williams. For a team that just barely got eliminated by the Rangers in the second round and has a history of playoff collapses, it might be just what the doctor ordered to push them over the edge. Even the fifth-place Columbus Blue Jackets, who missed the postseason, finished the season on a 15-1-1 tear. If they’re healthy, they can realistically be a force with which to be reckoned. Acquiring Brandon Saad will likely not be the last we’ve heard out of them, in other words. There’s not one team specifically that screams “Stanley Cup favorite,” but a good handful of teams do look dangerous enough to at least make some sort of noise… even if it’s a “yelp” emanating from out of either Jersey or Raleigh. The Central was the only division to send five teams to the playoffs and with good reason. The top four teams finished within the top six of TSN’s end-of-season power rankings. Sure, the No. 1-ranked St. Louis Blues bowed out in the first round, but that had a lot to do with the No. 3-ranked Minnesota Wild… almost as much as their propensity to choke. Replacing T.J. Oshie with Troy Brouwer isn’t exactly a step forward, but it’s not a massive one back either with the latter being an underrated three-time 20-goal scorer with much-needed grit. There’s meanwhile every reason to believe they won’t run into Minnesota in the first round again, considering the Wild now have Vezina Trophy-finalist Devan Dubnyk for an entire season. Minnesota’s no longer a No. 4 seed in other words. Between the last-place Colorado Avalanche winning the division the year before and the sixth-place Stars continuing to stockpile weapons (Patrick Sharp) as if in the middle of an arms race, each and every upcoming game between Central Division rivals looks like it will be a war. 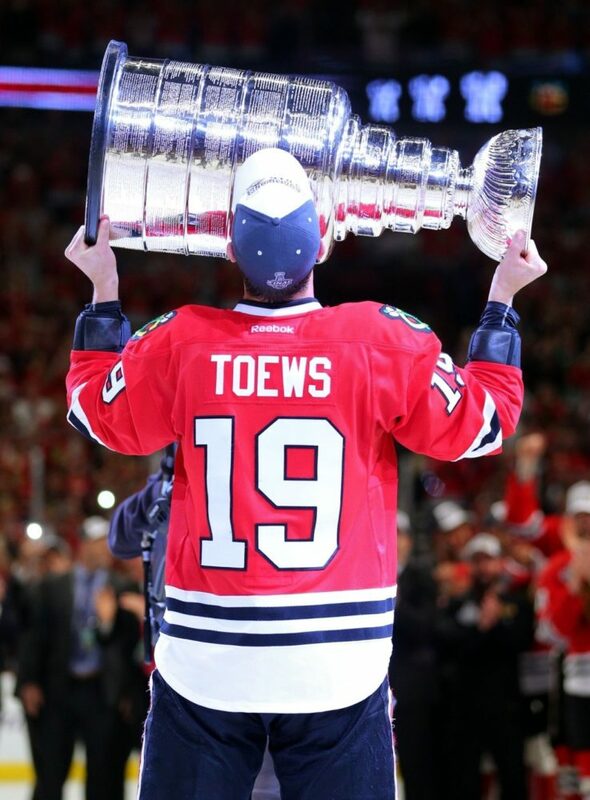 That either means good news for everyone else for the first few rounds of the playoffs when they square off against each other… or very little as the Stanley Cup-champion Blackhawks proved in eliminating the Nashville Predators and Wild this past spring. The Blackhawks didn’t even win the Central this past season. They didn’t even come in second. Sure question marks surround them with all that’s been going on this summer (salary-cap issues, the Patrick Kane investigation), but no one should realistically expect them to miss the playoffs. Teams like that are few and far between in the Central… despite there being a maximum of five playoff spots available in a division of eight. It certainly beats musical chairs (at least for the fans).